How Does Risk Management Affect College Savings? Attending college is one of the best ways to secure a strong financial future. In fact, college graduates earn an average of 56% more when compared with people who ended their formal education after high school. It makes sense why so many parents encourage their children to pursue a higher education. However, there is often a lot of confusion surrounding college planning. Parents are unsure of how much to save, how to save, and how to plan toward their saving goal. The result is often a college savings account that falls, well, short of the average cost of tuition. According to a recent study, parents had saved an average of $18,000 for their child’s college education. With the average non-profit college charging $46,950 for tuition, fees, and other costs, those savings are depleted rather quickly. The good news is that college planning does not have to be complicated. With a basic understanding of investing, risk management, and compound interest, parents can put away more money for their child’s education and help them enjoy their college years instead of stressing over debt. If you are wondering how risk management relates to college planning then this article will help shed some light on the topic. The best advice parents can take regarding college savings is to save early and save often. This basic strategy can drastically increase the amount of money available when their child is ready to head off to college. It’s never too early to begin saving. Your child may not be walking or talking, and their dreams of attending college may be non-existent, but you can still begin college planning anyway. There are two very important reasons why saving early is important. First, it helps build the habit of saving. Just like going to the gym or starting a new diet, saving money is a learned habit. Small amounts saved early on in a child’s life can create a snowball that continues to grow as it rolls downhill. Don’t take our word for it. Try playing with the numbers in the government’s compound interest calculator to see just how important small savings can be when they accrue compound interest over time. The second reason has to do with risk management. When you begin investing with a long-term goal in mind you can invest more aggressively because your investment will be able to endure the lows of the markets while growing during the good periods as well. A lot of people boil this down to the simple statement: time in the market beats timing the market. When you begin saving for your child’s education at a young age you have a long runway to work with. There may be bumps along the runway but you have more room to build momentum before taking off. Greater risk can be taken in order to enjoy greater long-term rewards. Let’s fast forward a few years. Your child is in middle school and they are beginning to form ideas of what they want to do when they grow up. Of course, these ideas may change, but going to college is a common theme no matter what the career path may be. It’s a good thing you have been saving for all of those years. Middle school is still a long way from the halls of the state university. There is still plenty of time to save. However, this is also a good time to assess risk tolerance and adjust risk management strategies accordingly. At this point in your child’s life, it may be a good time to consider less aggressive investments. Sure, there is still time to enjoy growth and endure market volatility – but college is creeping closer and closer. Where an aggressive investing strategy might focus entirely on equities like stocks, a more balanced approach may be best as your child works their way through middle school. This would likely look like a 50% split of equities and income investments like bonds. This portfolio will still be susceptible to market swings. That means great gains when times are good and hard losses when times are bad. However, the swings will be much less dramatic than in an aggressive portfolio. Also, over time, the gains should continue to outpace the losses. Once your child enters high school you have essentially started a three-year countdown until they could potentially begin drawing on their college savings. All of your hard work planning and saving has shown great results and the reward will be watching your child go to college without scrambling to take on massive amounts of debt. Of course, all of this depends on your savings being there when your child needs access to the funds. This the home stretch and one small slip could prove to be devastating. 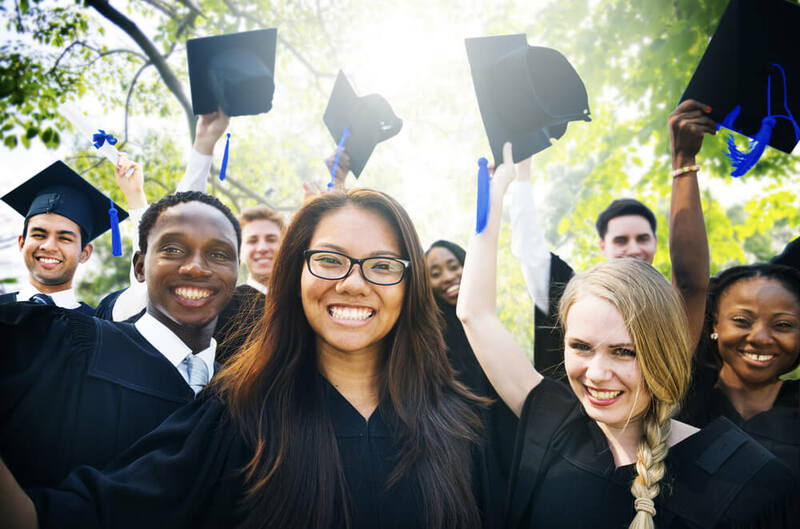 In the final years as your child completes high school and begins seriously considering a college education, you should be taking a long look at your risk management and adjusting for this new stage of life. At this point, growth is much less important than reducing risk and volatility. College is coming no matter what and a downturn in the market should not be able to change that. During the high school years, opting for a conservative portfolio based on income-generating investments rather than equities is a great way to secure small amounts of growth while also ensuring the funds are relatively safe from market volatility. For many children, crossing the stage at their high school graduation is a culmination of their life’s work until that point. For parents, this is the beginning of the next step in life. Risk management is essential to ensure that your child can enjoy college the way you have always hoped they could. If you’re interested in building a personalized financial plan to help your child reach their dreams then contact our investment and college planning experts at Mooney Lyons. We will use our wealth of experience to help you deliver on the goals you have set. This material is for general information only and is not intended to provide specific advice or recommendations for any individual. All performance referenced is historical and is no guarantee of future results.